Blessed are we to be able to share our bounty with others in need. 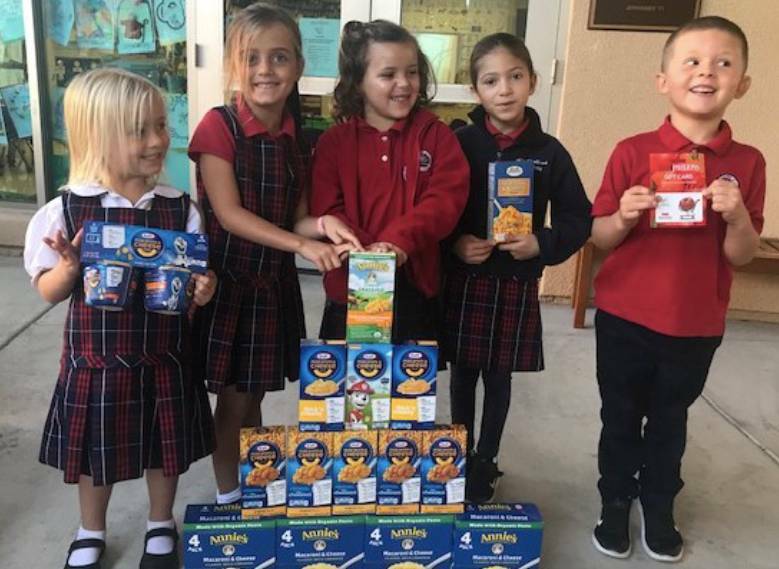 The All Hallows Academy children are sponsoring a food drive to benefit the Community Christian Service Agency. Students gathered a variety of canned goods, rice, cereal, pasta and other non-perishable items in their classroom donation bins. Along with these pantry staples, grocery store gift cards will help brighten the holiday tables of many deserving CCSA families. From TK-8th grade, our students are dedicated to making a difference in our community.